This small country in the Caucasus is starting to see massive oil and gas revenues, but poverty is still endemic and the war with Armenia is far from over. Azerbaijan is paying the political price of being a strategically-placed country with abundant energy resources. In mid-November of this year, human rights defence group Amnesty International drew world attention to the domestic situation in Azerbaijan. Citing evidence of serious infractions of Azeri citizens’ rights by government authorities, the group recommended that the international community keep a close eye on developments in the Central Asian nation. At almost the very same time, the European Union speeded up moves towards the signing of important agreements with the government of Azerbaijan. 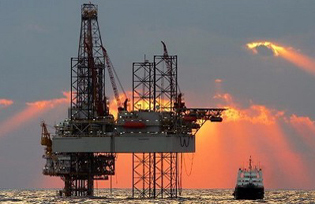 These agreements would see the gas extracted from the rich offshore deposits at Shah-Deniz (off the Azeri coast of the Caspian Sea) directed towards Europe via the pipeline currently being built by the Nabucco project. The timing of these two events is not just a coincidence (and even if it were, it would not absolve EU leaders of their moral responsibility). The truth of the matter lies in the river of money flowing from Azerbaijani oil and gas exports – a river whose volume the Europeans are aiming to increase. In recent years this has strengthened the autocratic regime of President Ilham Aliyev, allowing him to increase repressive measures domestically. This money has also gone towards reinforcing Aliyev’s long-standing intransigence in his country’s peace talks with Armenia – a stance which could well lead to a renewal of hostilities between the two countries. The episodes cited by Amnesty International in its November report –which have also been mentioned by various prestigious European institutions (albeit remote from the real corridors of power), such as the Council of Europe –all seem to be telling the same story. An increasing number of young activists and opposition members are being arrested and given severe jail sentences for having publicly expressed criticism of the regime. A well-known academic, Professor Rafiq Aliyev, who taught at the country’s most important university (the Petroleum Academy), was removed from his post for having expressed doubts about the legality of the charges brought against the young people who had been demonstrating in the streets. Various high-level representatives of local and international human rights organizations have received explicit threats and been subject to unjustified administrative harassment. In brief, as Amnesty puts it: “the country is heading in the opposite direction to that of democratic development”. What Amnesty International does not explain is the reason for the criticisms and the protests held in Azerbaijan this year. The flood of money generated by oil and gas revenues during the 20 years of the country’s independence (US$24 billion in 2010 alone), has led to some growth and development in statistical terms but has not significantly altered the standard of living of the majority of Azeris. In reality, in many cases, they have seen their standard of living decrease, whereas phenomenal wealth has enriched a small group of families, in primis the Aliyev clan, a dynasty which has dominated Azerbaijan – with brief interruptions – for more than forty years (since the father of the current president, Heydar, became General Secretary of the Communist party, when the country was one of the fifteen republics in the USSR under Brezhnev). Despite the massive sums of money being generated by the sale of oil and gas, very little has been done to improve the situation in the countryside, which is still experiencing extreme poverty, nor to offer a dignified existence to the tens of thousands of refugees from the war against Armenia who are still today obliged to live in shameful tent cities and makeshift shelters far from the main cities and totally lacking in amenities. Baku however has been completely transformed with ultra-modern buildings, up-market shops, and exclusive venues for the wealthy, and its streets are now filled with luxury cars. However on the construction sites there are thousands of labourers brought in from China who are working in conditions of near-slavery. It is no wonder that there are protests. In March of this year, various groups of young people tried to organise demonstrations but the ever-present police force nipped their efforts in the bud, arresting dozens of young people who were later given jail sentences of several years for “subversion” or on other charges that were basically fabricated. Some bloggers also ended up in jail, as they had supported the demonstrations on social networks. Meanwhile legislation relating to the broadcasting and publishing of information was made even more restrictive – for example, the crime of defamation was extended to include any conflicting or “undesirable” opinions. On the other hand, the abundance of wealth has made the inconclusive conflict with Armenia more problematic. The disastrous results of the war, fought intermittently between 1988 and 1994 and ending with a precarious armistice rather than a peace treaty, predictably left the country with a residue of resentment and a strong desire for military revenge. For many years the peace negotiations held via international mediation (above all Russian), proceeded slowly, driven almost exclusively by the two countries’ dependence on international aid and protection. 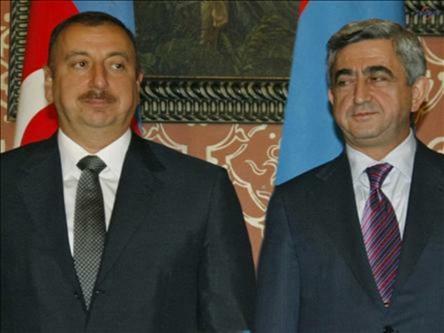 Today, with Azerbaijan’s new wealth, these slow peace negotiations are grinding to a halt. The position of Baku in the negotiations has become increasingly intransigent whereas at the same time Aliyev’s regime has begun to rebuild and strengthen its military capacity, making massive arms purchases abroad with the explicit aim of establishing the military superiority which would allow them to reverse the result of the previous conflict. Just a few weeks ago, for example, they acquired about 60 drones from Israel, (to be assembled in Azerbaijan) for aerial reconnaissance and potentially also for attacks on the territory occupied by the Armenians. The Armenians have reacted to this escalation by becoming increasingly intractable in the negotiations and more confrontational along the cease-fire line. This has led to frequent fire-fights and ambushes, perhaps aimed at triggering a new conflict before their military inferiority becomes too marked. Both in Erevan and in Nagorno-Karabakh (the break-away region at the heart of the conflict, which has maintained significant political and military autonomy from the rest of Armenia) there has been noticeable political instability, which has paved the way for a strengthening of the more extremist and belligerent factions. Despite its limited financial resources, Armenia too has been buying up arms from Russia, Ukraine and Moldavia. Support has also been forthcoming from Iran, Armenia’s de facto ally, which has very tense relations with Azerbaijan for a number of reasons. There are territorial disputes: in northern Iran there is a significant Azeri minority population who Baku considers to be its “cross-border brothers”. These last have recently held imposing protests against the regime in Iran over environmental issues (the polluting of and the progressive drying up of one of the region’s great lakes, Lake Urmia). There are also problems deriving from ideological/religious rivalry: Tehran supports Azeri individuals and groups such as the Islamic Party of Azerbaijan, which has been outlawed by the Aliyev regime, and whose members have been labelled as “extremist subversives”. Other economic conflicts relating to rights over the Caspian Sea have also soured relations between the two countries which are both bounded by its waters. In this gradually deteriorating domestic and international situation, Russia finds itself in a particularly thorny position as it is playing too many roles. Moscow wants to maintain its traditional influence in Baku, which has lately been called into question by a dominant Turkish presence (in both the commercial and cultural spheres) and by Europe and the USA who control large shares of the gas and oil deposits and who are insisting that the energy resources head towards the European markets through pipelines that do not transit across Russian territory. So, despite the fact that many of Aliyev’s opponents are in effect pro-Russian, Moscow has had to remain silent in the face of their repression. The Kremlin hopes to convince Baku to join the recently created Free Trade Zone that includes Russia, Belarus, Ukraine, Armenia, Kazakhstan, Kyrgyzstan and Tajikistan. At the same time Moscow hopes to resist European and US pressure by offering alternative pipelines. However, the Kremlin’s ability to condition the Azeri regime is limited by Russia’s political and military alliance with Armenia, where it has a military base. This obviously makes all Moscow’s offers somewhat suspect in Azeri eyes, given that in the event of a war (which is hardly a remote possibility) Moscow will initially have to defend its Armenian allies. In this complicated game, the only winners are Ilham Aliyev and his regime, who – despite all of the criticisms – still remain courted and tempted with offers of riches by all sides.